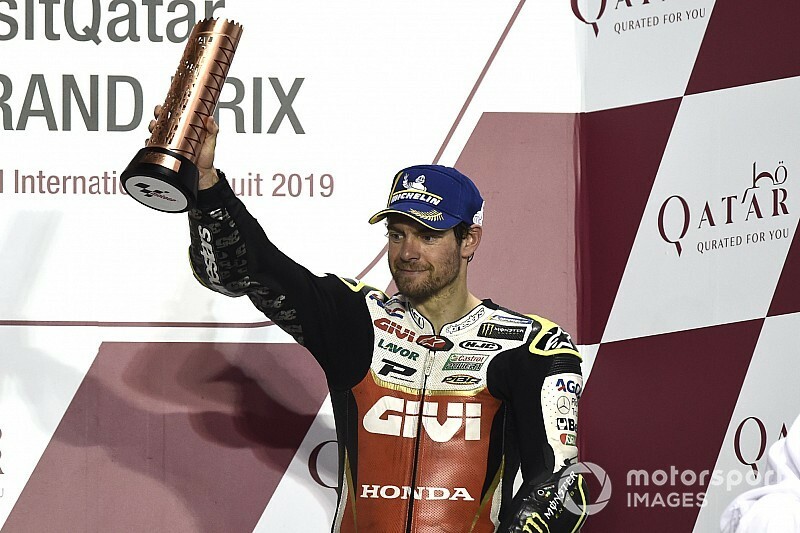 Cal Crutchlow says his third-place finish in the MotoGP-season opening Qatar Grand Prix is a "dream" result after the huge crash in Australia last year that curtailed his season. LCR Honda rider Crutchlow was forced to skip the last three races of 2018, as well as post-season tests in Valencia and Jerez, after a heavy practice crash at Phillip Island left him needing multiple operations on his right ankle. He made his comeback in Sepang testing in February, but was pessimistic about his chances after a troubled Qatar test in which he said he had lost his usual front-end feeling with the Honda RC213V. 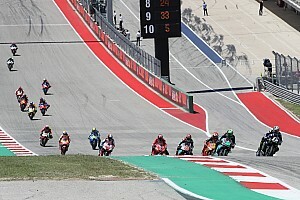 Crutchlow qualified a strong sixth and stuck with the lead group throughout the race, and finally came out on top in a battle with Suzuki rider Alex Rins to finish third, behind Ducati man Andrea Dovizioso and works Honda rider Marc Marquez. 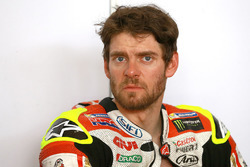 "It’s great to be back to be able to race in MotoGP, let alone to be on the podium," Crutchlow said. "We worked hard this weekend because the tests were a bit of a waste of time for me, and also this weekend has been a difficult weekend. "If you asked me after warm-up, when I finished 13th or 14th, if I would be on the podium, I would have laughed. 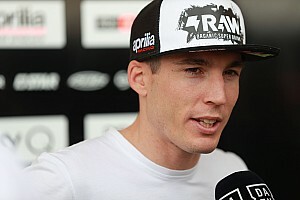 "It seems every race in MotoGP there’s a battle and it was nice to be in it. It was nice to be able to race and to get a podium is a dream to be honest. "We didn’t know I would be coming back at all at one point, let alone come back and be competitive." Crutchlow added his first priority during his recovery from the Phillip Island crash was to simply be able to have a "normal life", and that at one stage he wasn't sure if he would walk again. "I have a lot of people to thank for me being able to walk again, let alone race," he said. "It was not an easy road. 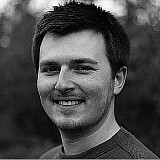 "At the start it was ok. To sit and watch the MotoGP races, I was fine, accepted it. But after when I couldn’t walk, it was difficult. "I could ride my bicycle all week no problem, but I couldn’t walk. I didn’t know if would walk again. They told me I would, but when you’re in that much pain you don’t know. "I wanted a normal life, to be able to walk, and I can. 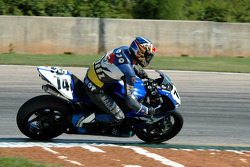 It’s just a bonus I can still race a motorcycle." 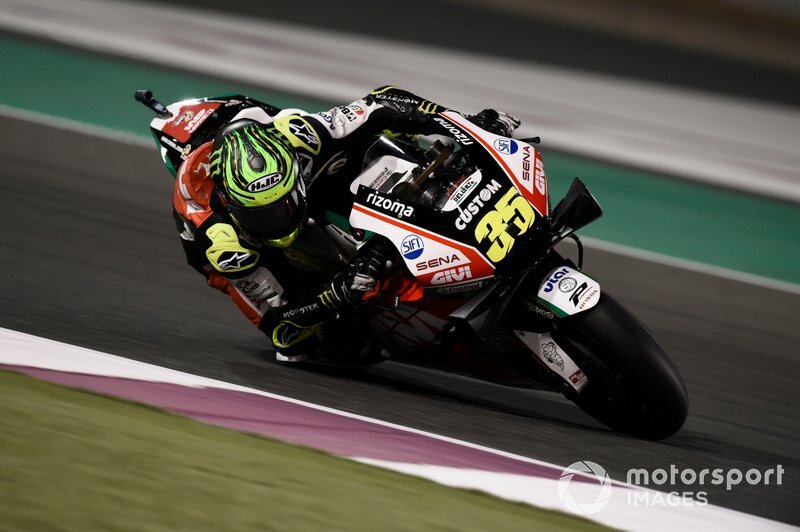 Crutchlow said that his ankle did not cause him any issues in the race, although he revealed he had been racing with a numb buttock for much of the distance. "My arse on the left-hand cheek, somebody hit me with the footpeg and I didn’t feel it for 15 laps!" he recalled. "I have no idea who it was. "My ankle was fine, no problem with the ankle at all. Only two times I got my foot stuck on the brake lever. 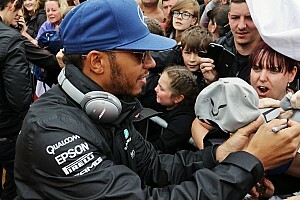 In practice and qualifying it happened a lot and in the race it only happened twice."